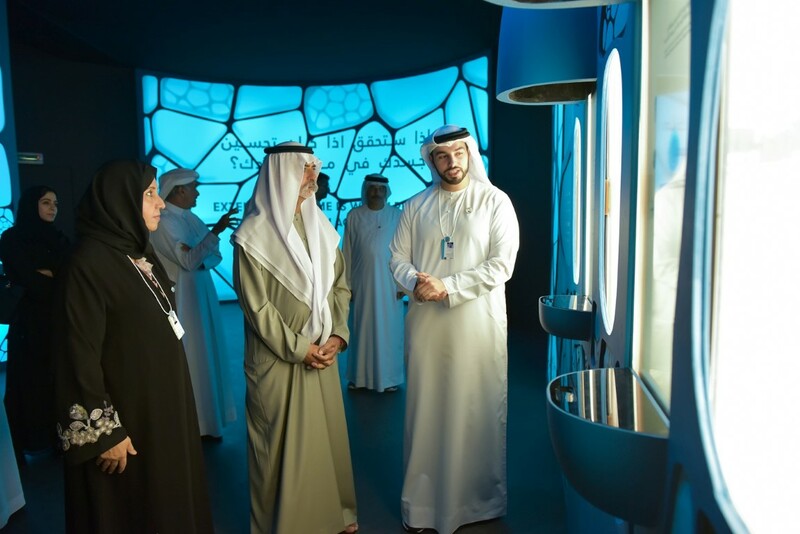 DUBAI, 11th February, 2019 (WAM) -- Sheikh Nahyan bin Mubarak Al Nahyan, Minister for Tolerance, visited the "Museum of the Future" and the "Edge of Government," which are being hosted by the 7th World Government Summit 2019 that began in Dubai on 10th February, 2019. 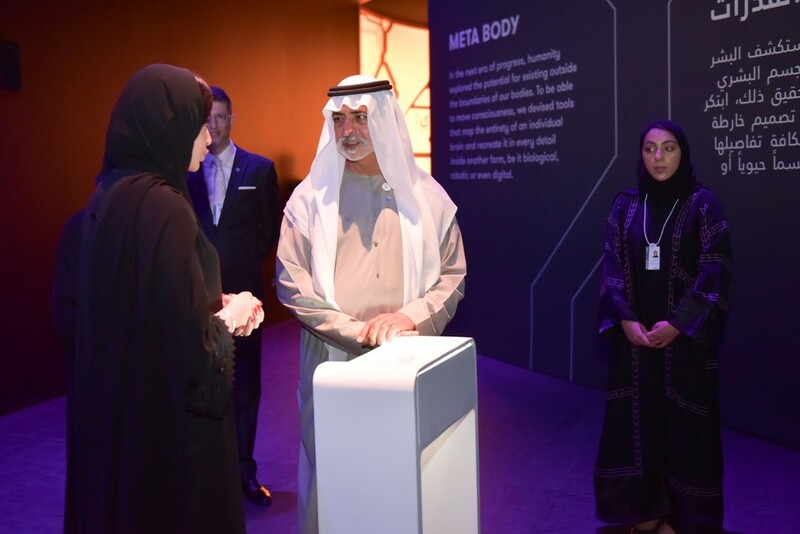 Sheikh Nahyan viewed the museum’s futuristic exhibits that address the future of people’s health through a series of experiments, such as the "Smart First Responder." He also learnt about the four main sections of the museum, which aims to predict the people’s future from 2040 to 2100. Sheikh Nahyan then reviewed the future of stem cell engineering, which is a key factor in human history, due to its potential use in creating specific types of cells, tissues and organs that can replace human tissue. During his visit to the "Edge of Government," which are organised by the Mohammed bin Rashid Centre for Government Innovation for the fourth consecutive year, under the theme, "Your Will Creates the Change," Sheikh Nahyan reviewed nine innovative government experiments from China, Finland, Germany, Indonesia, Canada, Singapore, Pakistan, Switzerland and the Netherlands, which offer solutions to challenges related to refugees, agriculture, health, the digital revolution and data security. During his visit, the event’s working team spoke about the criteria used to select the innovations after a research and evaluation process, in partnership with the centre and the Organisation for Economic Co-operation and Development, which involved over 540 nominations from 84 countries.